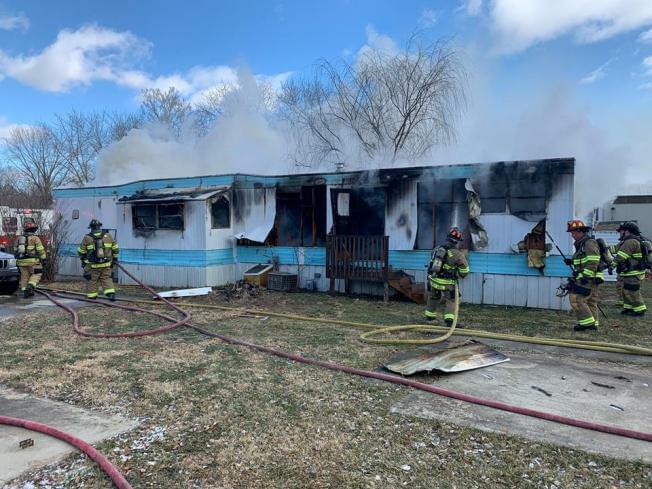 BLOOMINGTON – Investigators believe a fire that destroyed a mobile home Friday on Bloomington’s southeast side happened when the homeowner used a portable propane torch to thaw frozen pipes. The owner was not injured, but firefighters have not been able to account for two cats who lived with her at 10 Violet Lane in Prairieland Estates. Bloomington firefighters found the home engulfed in flames when they arrived about 11 a.m. Normal firefighters were also called to help put out the fire in bitterly cold conditions. Relatives and the American Red Cross are helping the woman who lost her home in the blaze.